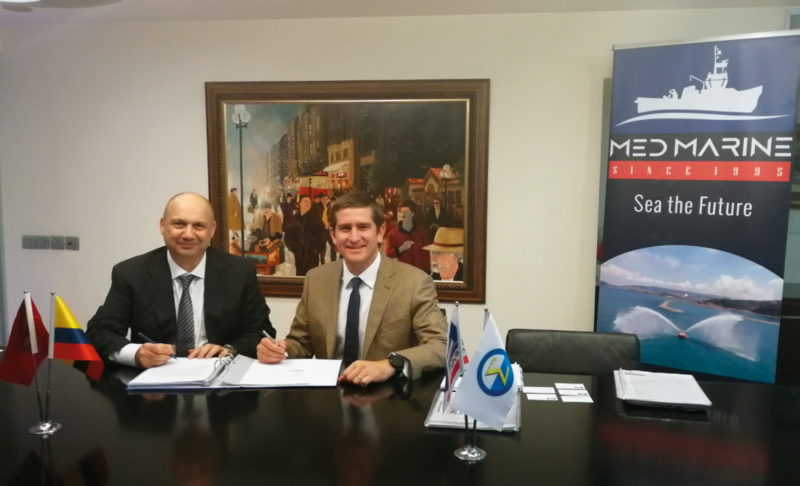 Turkey’s leading tugboat operator and shipbuilder Med Marine and Colombia’s towage and salvage company, Coltugs, signed a sales contract for a 32m ASD tug for Colombian operations. Coltugs belongs to Coremar, a traditional ports and towage company from Colombia; and Ultratug, a leading Tugboat supplier in the Americas, offering services in Argentina, Brasil, Chile, Colombia, Ecuador, Mexico, Peru, and Uruguay. Her sister renamed as CLAUS joined German operator J. Johannsen & Sohn’s fleet in 2018.